I remember an elderly neighbor lady used to make ground cherry jam. Your post takes me back to having tea, biscuits and homemade jam with Neva. What a lovely memory. 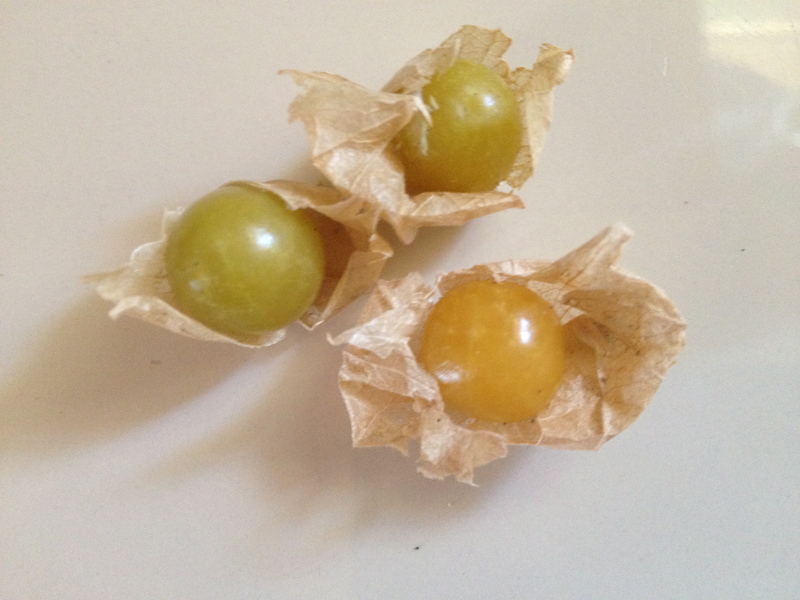 I just tried ground cherries for the first time a few weeks ago. I liked them so much, I purchased some seeds for next year. Thank for having a look and leaving a comment :). We tried these for the first time this summer. I sat and ate about 10 of them so I probably won’t want another until next year. But I’m so glad we discovered them! Me too. I just tried them for the first time about a month ago at a crop swap. I really like them. I am going to grow some next summer. My mum just brought us some ground cherry jam from the Maritimes here in Canada. Can’t wait to hear how you get on with growing yours. Thanks! They really are such an interesting fruit, like miniature tomatillos all wrapped in paper, but very sweet. Hopefully I grow enough to make a batch of jam. Enjoy yours! I grew these when I lived in Brooklyn. I love them. They really are a special fruit, but not so well known.